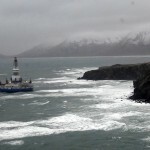 The assessment of Shell’s Kulluk drillship continued today as calmer weather conditions allowed a recovery team to board the grounded vessel for a second time to continue a detailed evaluation of its condition. 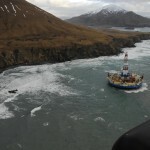 The recovery team again spent several hours onboard and was able to reconfirm the Kulluk is firmly aground and is stable. 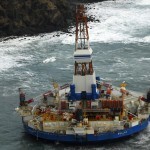 The team also confirmed there remains no sign of environmental impact, and there has been no leakage of the low-sulphur diesel fuel or hydraulic fluid stored in strong tanks onboard the vessel. 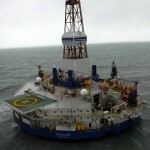 Information gained from the on-site assessments will be invaluable in helping to evaluate the available options for freeing the rig from its grounded position.